“The New York Times bestselling author of Promise Not to Tell returns with a simmering literary thriller about ghostly secrets, dark choices, and the unbreakable bond between mothers and daughters . . . sometimes too unbreakable. 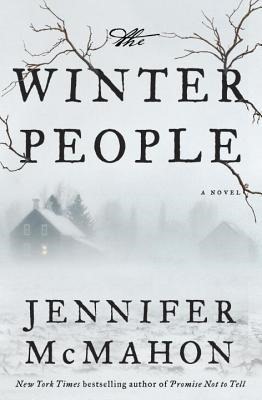 I could have used a little warning that upon reading The Winter People by Jennifer McMahon, I would be heading back into creepy reanimated dead people territory. Oh, sorry, was that a spoiler? Whoops. But I feel a duty to forewarn those such as myself. Because, you see, since I went through my Stephen King phase in middle school, I just don’t do supernatural creepy. Unfortunately, that is just what I got with this particular novel. Now, don’t get me wrong. McMahon managed to write a compelling and descriptive novel that somehow keeps a balance between creepy and horrifying, as well as attempts to remain borderline with appearing to be believable (although it falls short of that last goal, of course). McMahon does somewhat successfully weave together the narratives of several different people hailing from the small town of West Hall, Vermont, ranging in time from 1908 to the present day. The strongest vein of emotion running through this tale is that of grief, a grief so great that it drives people to work against the laws of nature and seek assistance from supernatural – and possibly dark – powers. Grief can be a palpable thing, but it is how these characters choose to deal with it that leads to unforeseen circumstances that only bring more tragedy to their lives. As creepy goes, y’all, this is about as much as I can take. If you’re on the lower end of the creepy scale, as well, then The Winter People is definitely a book you might be able to handle. As for the rest of you, line on up – this is for you! Good reads (even creepy ones) can be hard to come by – and you just can’t say no to a good read like this. The Winter People by Jennifer McMahon is available now at a bookseller near you.. Buy it, read it… Try not to be afraid of the dark.